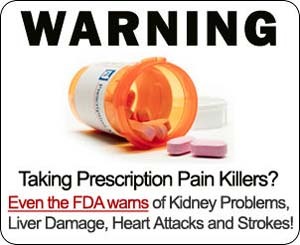 Do they work and are they safe as an alternative to toxic medicines? These are two important questions about Alternative Medicine that get asked when people are presented with products and practices that are not considered part of the standard medical care, or health care that falls out side of the realm of conventional medicines. Lots of people are now starting to change their minds about synthetic drugs and medicines as they become aware of conventional medicine side effects. For many types of alternative medicine, the scientific evidence of it's effectiveness exists and further studies are always being done. But perhaps the most powerful evidence of the healing powers of alternative medicine are the testimonies of those who have undergone miraculous recoveries through the use of these complimentary and alternative medicine therapy. Of course it's a contentious subject and there are many ardent campaigners on both sides. Unfortunately there are also those who see an opportunity to make money by preying on the naivety and fear of people who are suffering from pain and diseases. It is of utmost importance that any medical treatment you seek whether alternative or mainstream be done with a qualified and reputable individual. How are Complementary Medicine and Alternative Medicine different from each other? Alternative medicine is used in place of conventional medicine. An example of an alternative therapy is using a special diet to treat cancer instead of undergoing surgery, radiation, or chemotherapy. Anodyne Therapy is a unique light therapy used for the treatment of pain. This infrared therapy effectively brings pain relief without the use of drugs and is non-invasive. It does this by harnessing the healing power of infrared light. This material is provided for your information. It is not intended to substitute for the medical expertise and advice of your primary health care provider. We encourage you to discuss any decisions about treatment or care with your health care provider.